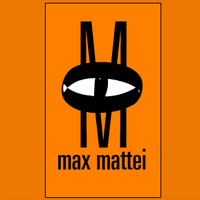 Max Mattei is a fantastic designer and artist with an excellent eye and skills to match. He has created numerous designs for sites running the Slab web system such as sirjamesgalway.com and jamesabelevents.com. We are very excited to go live with his work & he enjoys designing for the Slab web system. His artwork has recently been featured in Boston Magazine! Check him out. 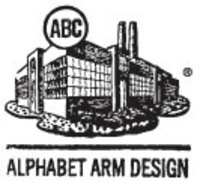 Located down the street from us, Alphabet Arm Design specializes in Logo and Identity Systems, CD Art Direction, Poster Design, Merchandise Design, Marketing & Collateral, and can take your look from zero to pro. They have a team of great designers with a very creative approach to your total look. 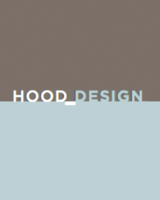 Jim Hood is a professional designer, who is a cut above. He specializes in identity, logo and print and web design and guides his clients towards the realization of a refined complete vision of their brand. We are thrilled to have worked on a number of projects with him and look forward to creating many more. His own site hooddesign.com runs on the Slab web system as does www.urbanpawprint.com/ and www.vinerestaurant.co.uk/. Robin Ratcliff contacted us a little over a year ago to see if we could help her company build a site for: ridefar.org run by author, cartoonist, Suzy Becker. It worked out well, and we went on to build their design of Suzy Becker's own site. They are professional, personable, and highly talented. Additionally they have designed sites for Alexandra Sheldon and Flora Restaurant.